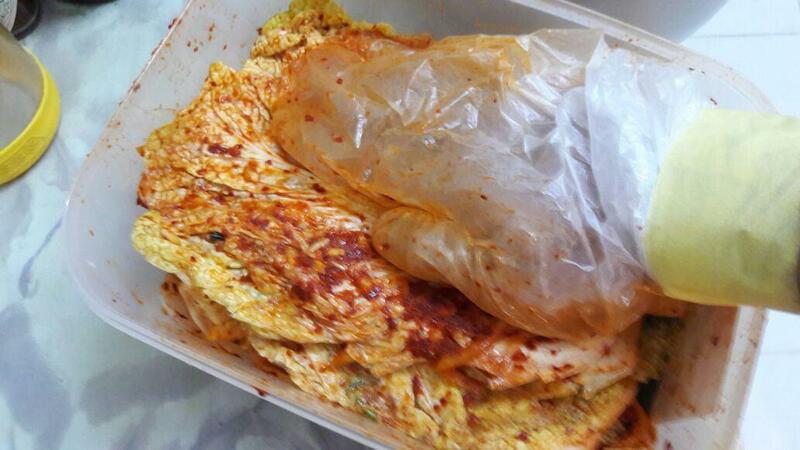 In my previous post here , I talked about eating healthy as a part of my lifestyle. 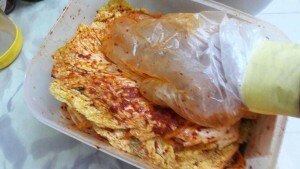 So I just want to share with you guys something I discovered lately — kimchi! 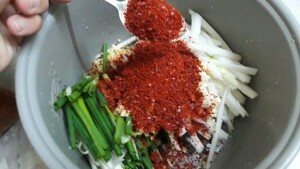 It’s packed with nutrients, inexpensive and easy to make. 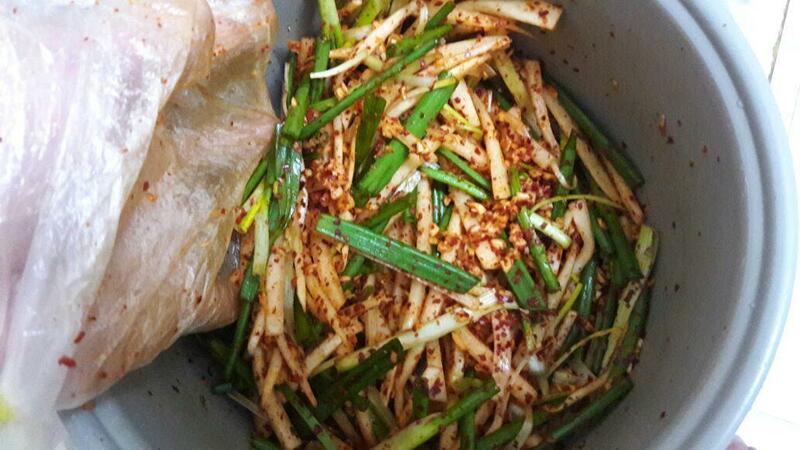 I’ll show you 😉 I’ve only made my very first batch and it took about 3-4 days to finish with the fermentation process. So if you didn’t know, making kimchi is also a healthy exercise to train your patience. Haha. *Lots of the measurements are agak-agak (estimated), and let me assure you that it’s a legit way to cook! 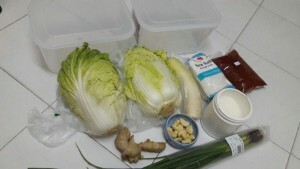 These are considered basic ingredients for an amateur kimchi. 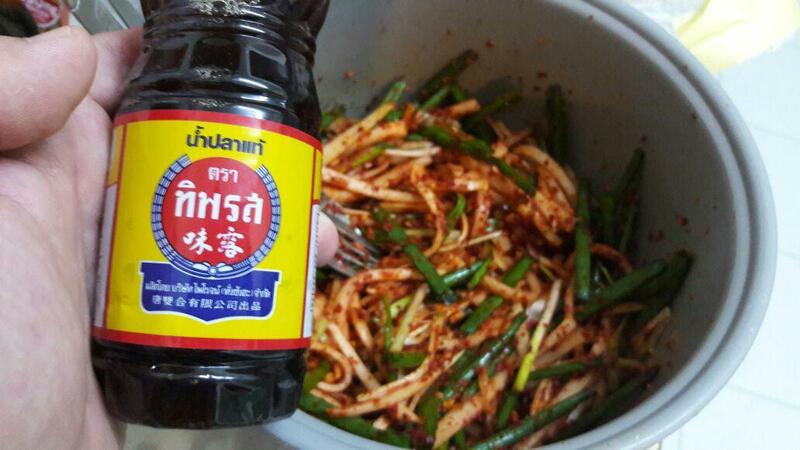 I noticed through some research that Koreans now have plenty of extra ingredients to flavour. But that’s all up to personal preference and seeing as I’m an entry-level kimchi maker, I’ll stick to the basics. 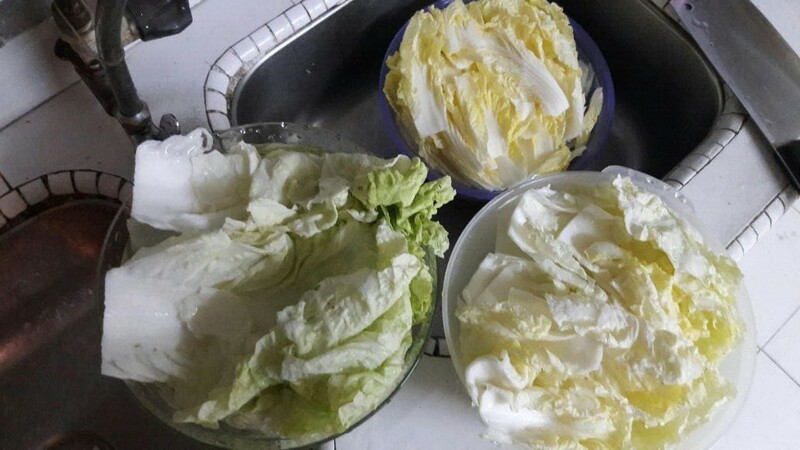 I prefer to have the cabbage in bigger pieces so I only cut off the ends (or in Malay, you’d call it the kepala), but this too, is up to individual liking. 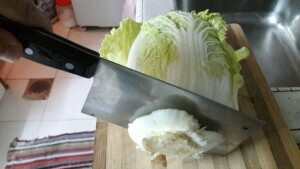 Make sure to lift open the leafs and run it through tap water for a good rinse. Repeat this 3-4 times to make sure it’s clean. Sea salt costs less than RM1 a packet so don’t be afraid to use it. Rub 3-4 tablespoons on the cabbage and leave it to soak for 1 hour. In the meantime, tackle the sauce. 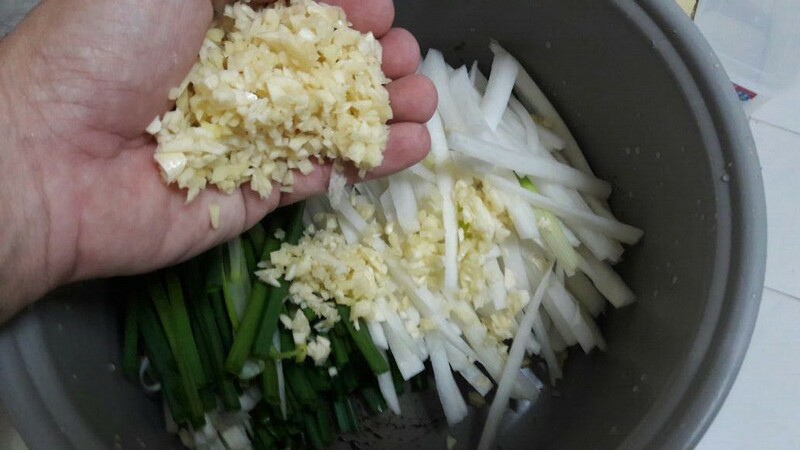 Chop up your garlic and ginger, or use a blender if you prefer to be a bit more canggih. 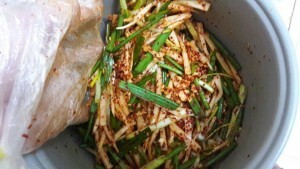 Also cut up the radish and scallions. Put them all into a clean mixing bowl. Add a dash of sugar and about 5-6 spoonfuls of fish sauce. 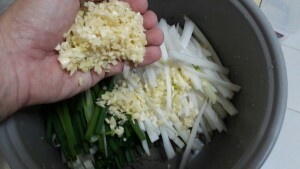 Here’s the best part — put on some clean gloves and start mixing it with your hands! I forget to buy gloves so I replaced them with clean plastic bags. Still works, but better to get gloves, guys. An hour later, wash the salt off the cabbage by running it through tap water again. 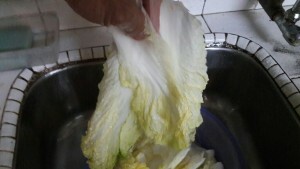 Rub each leaf thoroughly with the sauce prepared earlier and place it into a clean plastic container. Press it down to release trapped air and close the lid. 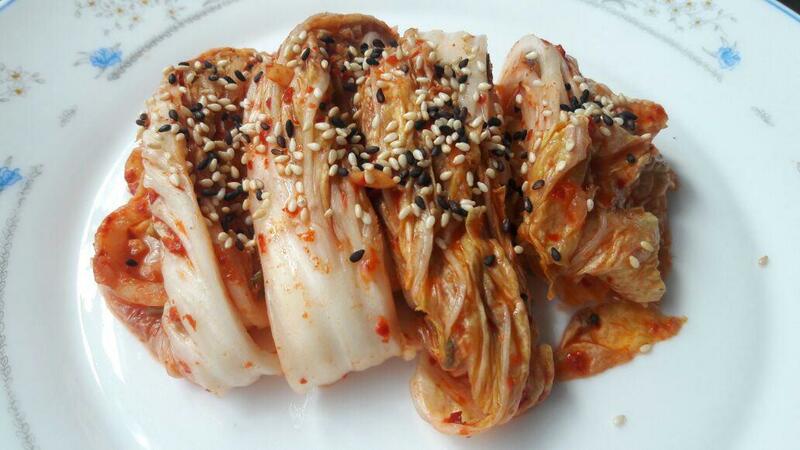 The kimchi should ferment in room temperature for 3-4 days depending on how strong you want the flavours to be. 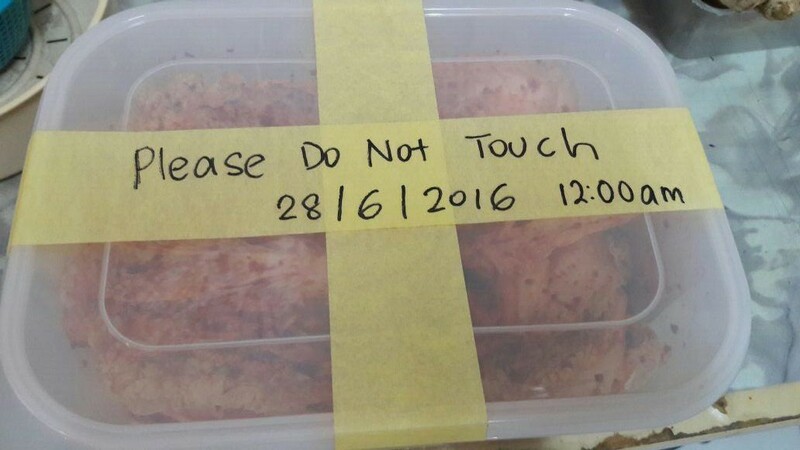 Some instructions would recommend up to 5 days. 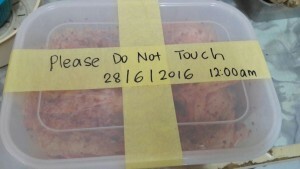 Personally, I like to leave it in room temperature for about 2 days before chucking it into the fridge for another day or two so that my first bite would be that trademark chilled, spicy kimchi! Final product was pretty successful. Try it! Follow me on my Facebook page for more updates!